A quirky way of raising money for your community, organisation or chosen charity. Jailbreak is fun, different and captivating! 40 ‘criminals’ will be selected from your community or organisation and sentenced to an overnight stay in the Gaol. They must raise a minimum combined amount of £2000 to secure their release. It is up to each candidate to raise their own ‘bail’ money by various means: sponsorship, fundraising events and donations. Once the £2000 bail is met, all 40 are released to join family, friends and fellow inmates for a gala banquet in the Gaol and the final fundraising total will be revealed. The aim is for each inmate to reach the minimum target of £2000 – meaning a minimum of £80,000 can be raised. 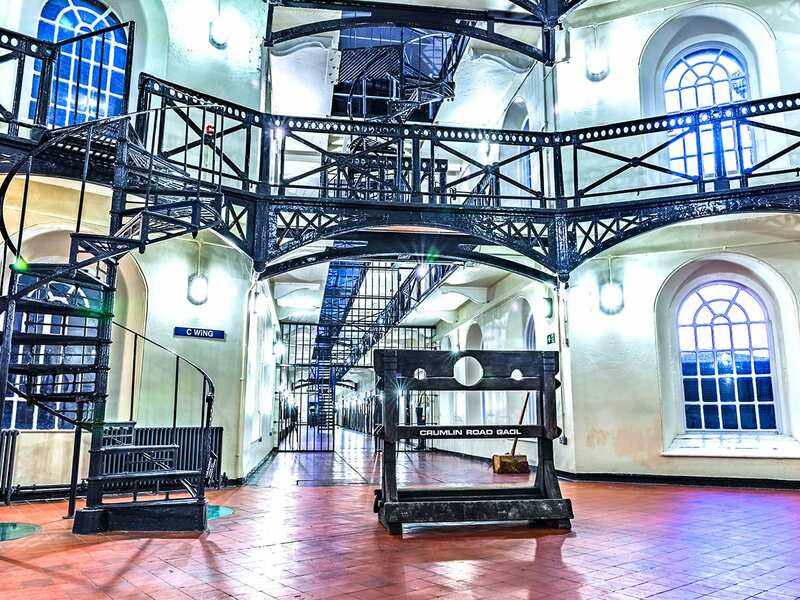 Crumlin Road Gaol will provide a photographer for initial PR photos with the criminals in typical prisoner uniforms and jail props, showing them incarcerated in Belfast’s most infamous prison! The Gaol’s Marketing Department will assist will the design of promotional materials. You can use these for your fundraising activities and events. 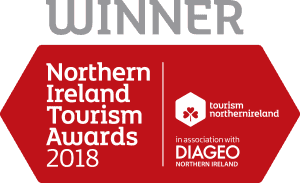 Crumlin Road Gaol will provide the venue and our Events Department will liaise with your co-ordinators regarding running orders, menus and final numbers. We can recommend a MC for the evening, entertainment, room dressing and transport. The 40 ‘criminals’ are captured and sent to Crumlin Road Gaol to begin their fundraising challenge of a night behind bars! Upon arrival the criminals will take a tour of the Gaol followed by a finger buffet supper with a licensed bar open until 1.00am and entertainment during the evening. The prisoners will sleep in the Gaol’s cells (a designated sleeping area can be allocated for those who do not wish to sleep in the cells). A celebratory breakfast will be served to those who have made it through the night before sending the inmates home for a well-deserved rest. 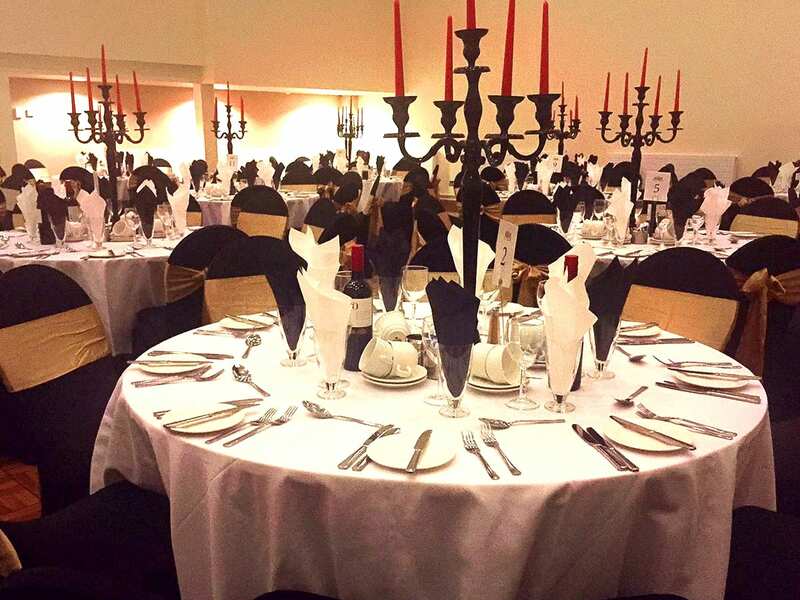 Having raised the bail money to secure their release, the inmates will be released to enjoy a celebratory gala banquet held in the Gaol’s Lanyon Suite. Invited guests will see each of the prisoners in the cells under careful watch of the wardens before being escorted to the banqueting room where each prisoner will be introduced by your MC for the evening. Two ex-prisoners will be set at a table with each of their four invited guests (tables seating 10), where they will all enjoy a four-course banquet. A night of music and entertainment will follow with a licensed bar until 1.00am. The Parish of Ardboe developed a fundraising concept using the Jailbreak Challenge in conjunction with its main sponsor, Quinn’s Coach Hire. Their marketing campaign in the build up to the challenge featured a series of short videos of ‘crimes’ carried out by local members of the parish, which were watched by thousands of people online. For their ‘crimes’, 40 members of the congregation were locked up for the night in the eerie Crumlin Road Gaol. They were released just in time for a gala dinner with over 200 people the following evening in one of the Gaol’s Spaces. The fundraiser was a huge success raising an impressive £82.5k which would go towards the planned renovations of the local Chapel.